Food-Bridge has a global network of trading links with markets throughout the world. We have established long term partnerships with the major processors of poultry worldwide. Our multi-continent sourcing strategy ensures we can obtain the optimum quality for our customer while ensuring security of supply in the event of market disruptions. We are agile, adaptable and designed to respond quickly to the market. Our dedicated logistics team can handle all aspects of the Importation/Exportation process, including documentation, traceability and licensing, allowing you to focus on your core business. Our customer base consists of manufacturers, retailers and food service operators worldwide. Our long established relationships are a testament to our proven competitive edge. We continually strive to maintain and improve our customer satisfaction levels. 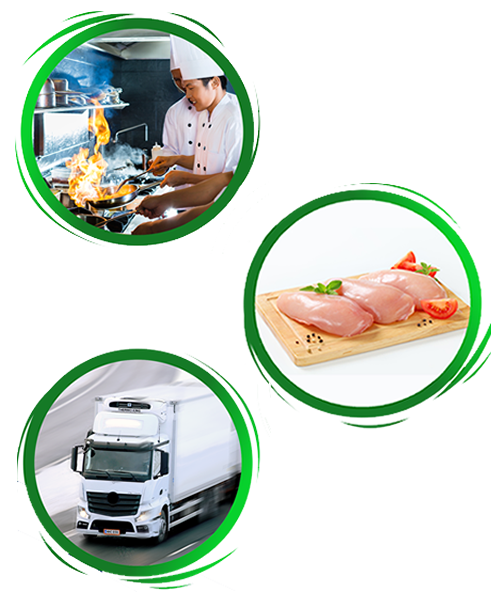 As a BRC Agents and Brokers certified company, Food-Bridge only sources fully traceable products from approved suppliers to guarantee you only the highest standards in food safety and quality. BRC, IFS and ISO accreditation, as a minimum, is the norm for our supply base to ensure that product quality consistently meets the requirements of our customers. Specifications and technical advice can be provided for our major product lines.